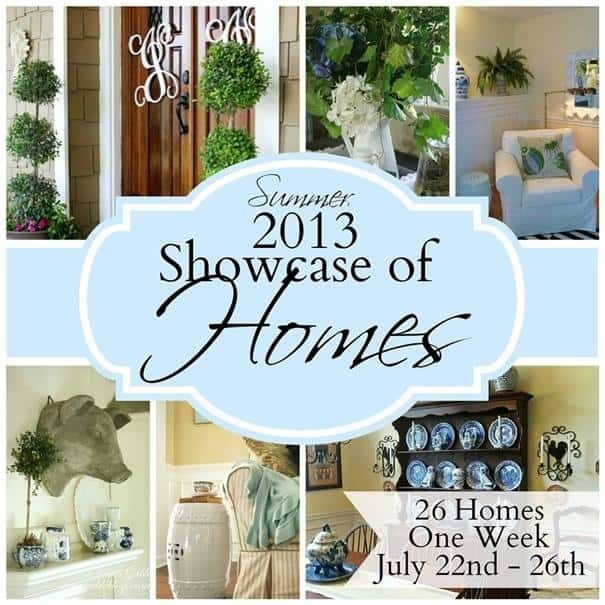 Announcing the 2013 Summer Showcase of Homes! Judging by the number of views of the very popular House Snooping series that runs every Friday here at Worthing Court, I already know how much you all love touring home interiors. The only problem though, is that you only get to tour one house at a time. How would you like to tour 26 houses all in one week??? I’m honored and excited to among a group of 26 amazing bloggers who will be participating in the 2013 Summer Showcase of Homes! We’re all busy spiffing up our spaces to bring you an fun week filled with loads of inspiration. So mark your calendars for the week of July 22nd so that you don’t miss a single thing! YEA!!! So exciting! I’m exhausted… I always think I’ll get more done than I actually am able to. Looking forward to all the house inspiration! Suzy this is so exciting, I can’t wait! Can’t wait to see all of these awesome homes!